Maxiell has seen some pretty sporadic playing time of late. 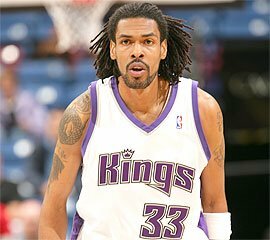 He logged only 5 minutes against the Spurs and 9 against Philly. 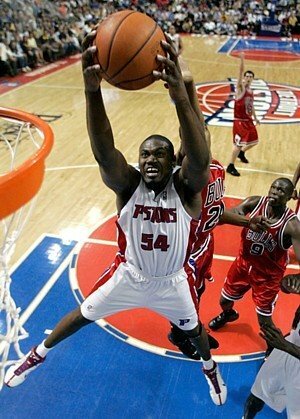 However, in the rare Detroit Pistons shootout last night in which they beat the Nuggets 136-120, Maxiell logged 18 points on 8-11 from the field and 2-3 from the line, 7 rebounds, 3 assists, 1 steal, and 1 block in 32 minutes. He did manage 3 turnovers. If Maxiell gets more minutes down the stretch, he will be an asset on a fantasy team like he was earlier on in the year. Farid has been touting this guy for awhile also. Moore has been a beast from the field and the line (8-10 and 3-3, respectively) while logging 18 points, 10 rebounds, and 3 blocks. This guy is a hustle player who is getting a ton of playing time (32 minutes last night) and making the most of it. The Kings are a decent team, but Moore seems to be the only muscle in the middle (Brad Miller is brittle), so he could be a good pickup. By the way, Beno Udrih sat out last night and his sub, Anthony Johnson (part of the Mike Bibby trade), had a spectacular line: 13 points, 2 threes, 6 rebounds, and 13 assists.